Tired of staying in hotels? If so, this is so perfect for you!! 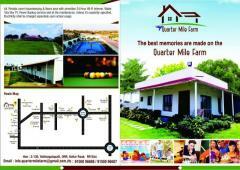 Experience the luxurious home stay at this beautiful farm house that excites your senses every moment.